Wendy Rowe is a cookbook author, top makeup artist, and artistic consultant for Burberry Beauty. She’s worked with everyone from the Spice Girls to Cara Delevingne and Nicole Kidman to Vogue, Gucci, and Chanel. Her favorite beauty secret is “be kind to yourself” (although she believes in the power of concealer) and her magic formula is mood + food + sleep + exercise. 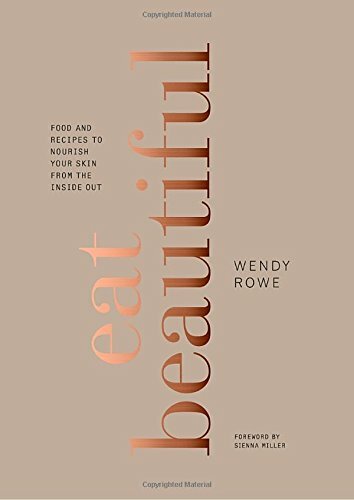 She outlines this and more in Eat Beautiful, her hybrid cookbook/beauty book filled with gorgeous recipes and great advice. “Super Women, Super Foods,” the very first Radio Cherry Bombe miniseries, is hosted by Kerry Diamond and features conversations with dynamic women about food, life, and wellness. Thank you to Elemis, the No. 1 luxury British skincare brand, for supporting our miniseries. Elemis is offering 15% off your elemis.com order with the code CHERRY.